In a federal civil case, a motion for judgment on the pleadings is properly submitted after all pleadings are filed, including the complaint, answer, any counterclaims, cross-claims and replies. This type of motion is based solely on the assertions set forth by the parties in the pleadings, without consideration of any evidence. 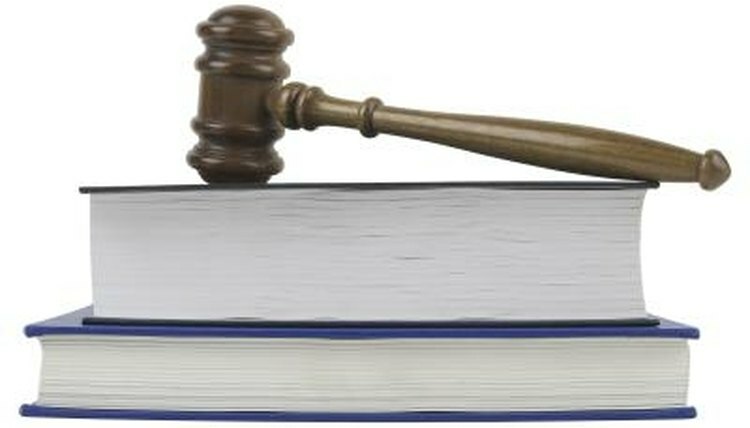 A motion for judgment on the pleadings asks the judge to determine there are no genuine factual issues, and to apply the law to these undisputed facts to resolve the case. A party who files a motion for judgment on the pleadings contends that even if all the facts asserted by the opposing party are true, the case should still be decided in the moving party's favor. After a motion for judgment on the pleadings is filed, the non-moving party has the opportunity to file a response to the motion. A response either makes the argument that, despite the moving party's assertions, there do remain issues of fact that require further proceedings to resolve, or that the law, as applied to the undisputed facts, requires a decision in favor of the non-moving party. What Happens When a Case Has Been Dismissed? Following the response by the non-moving party, the party that filed the motion has the opportunity to file a reply. The reply addresses the arguments set forth in the response and reiterates the moving party's position. After the motion for judgment on the pleadings, reply and response are filed, the motion is ripe for consideration by the court. If the court decides there are factual issues central to the plaintiff's claims that remain unresolved, the court will deny the motion. If the motion is denied, the case will proceed into the discovery, or fact-finding, stage. If the court grants a motion for judgment on the pleadings in favor of the defendant, the case is dismissed "with prejudice," meaning that the plaintiff may not file another case seeking relief for the same claim in the future. If the motion made by the plaintiff is granted, the court enters judgment in favor of the plaintiff and the case is closed. Pursuant to 28 U.S.C. § 1291, a grant of a motion for judgment on the pleadings for either party is considered a final order and may be appealed by the losing side. Sally Brooks has been a writer and stand-up comedian since 2006. Also a licensed attorney, Brooks' work has been featured in the "Temple Political and Civil Rights Law Review" and "Jurist." Brooks holds a Juris Doctor from the University of Cincinnati and a Bachelor of Science in health science from Purdue University. Brooks, Sally. "What Happens After a Motion on Judgment on Pleadings?" , https://legalbeagle.com/8410702-happens-after-motion-judgment-pleadings.html. Accessed 24 April 2019.